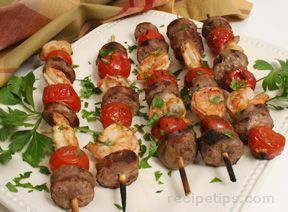 What better way to eat than off of a stick! 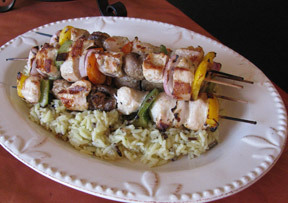 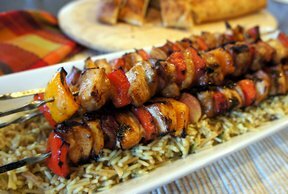 Try our favorite kabob recipes. 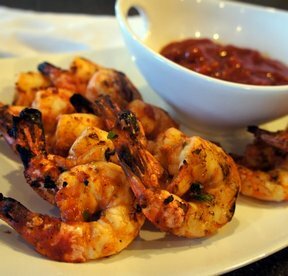 You're sure to find one you love. 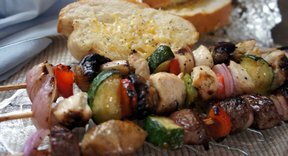 Be sure not to put your meat and vegetables too close together so they get some heat in between the pieces. 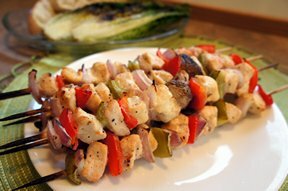 From beef to chicken to fish, we have all you need for your grilling pleasure. 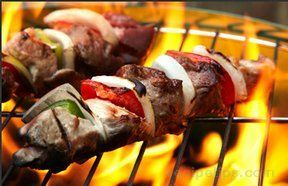 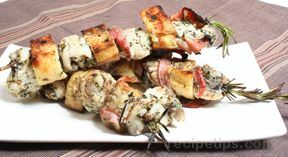 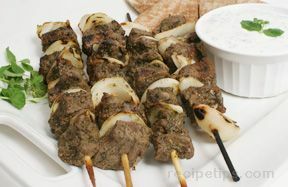 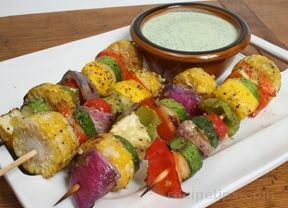 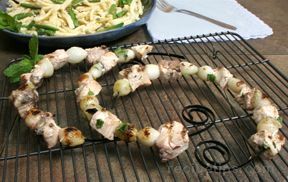 "If you have never grilled kabobs before, you are in for a treat when you try one of these fun and flavorful recipes. 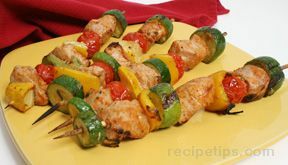 Grilling kabobs that include a mixture of meat, vegetables, and/or fruit is a great way to enjoy the mingled flavors of each. 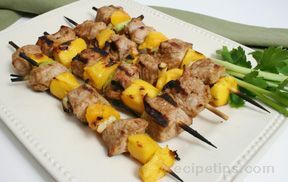 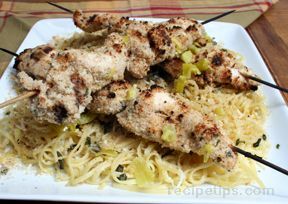 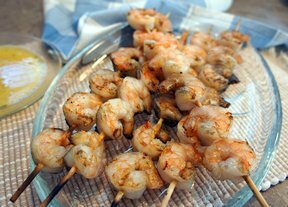 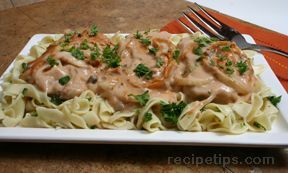 Serve them as the main course alongside a helping of rice and a grilled pineapple kabob for dessert for the perfect grilled meal." 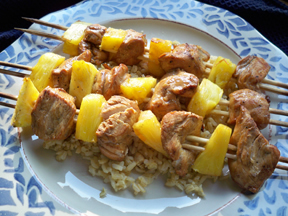 "I was looking for kabob recipes that my kids might like. 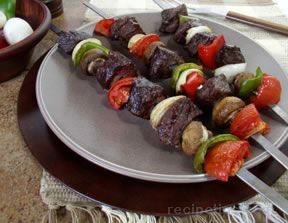 The think it is fun to eat off a stick. 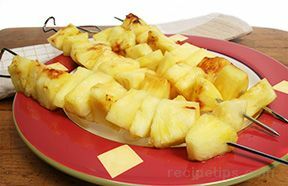 There are a few in this group that they might like but I am anxious to try the grilled pineapple one because they love fresh pineapple. 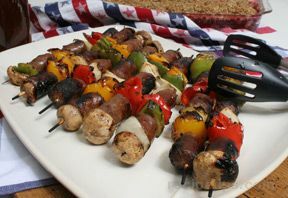 We will have to see if they will eat it grilled."